Danielle O. Strasburger ’18 graduated from Harvard College. She served as Winthrop House Committee Chair in 2017. I am not the first person to take issue with Winthrop Faculty Dean Ronald S. Sullivan Jr. defending Harvey Weinstein. As others have pointed out, one can believe that Weinstein deserves a competent legal team while also believing that Sullivan should not have taken the case. He may be a lawyer, but he also chose to serve as a faculty dean, and that role comes with obligations to the Winthrop and Harvard communities that should not be taken lightly. There are many, many lawyers that Weinstein can hire. There are only two faculty deans of Winthrop House. As someone who loves Winthrop and served as its House Committee chair, Sullivan’s choice feels like a personal betrayal. I spent three incredible years in Winthrop and invested myself deeply into the house community. I credit Winthrop House for many of my happiest memories and best friends, and I’ve always been incredibly proud of my Winthropian identity. As students, we were told to view Winthrop as a home and to consider the staff and students as our family, and I did. 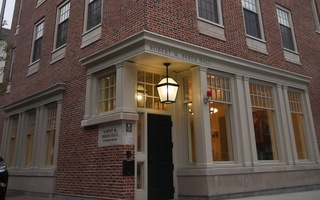 My love of Winthrop is what makes reading the headline “Harvard Law Prof. and Winthrop Dean Ronald Sullivan Joins Harvey Weinstein’s Legal Team” so painful. I don’t just disagree with Sullivan’s actions; I’m ashamed of them. Where are those values of family and community that he always spoke about? How am I supposed to be proud of my affiliation to a house which now links me to a man whose crimes are so egregious that they launched a whole movement? I know I am not the only Winthropian to feel this way. In his email to Winthrop residents, Sullivan invites students with questions or concerns to his office hours. But let’s be real: Does anyone think Sullivan is going to drop this high-profile case because of unhappy students and a few op-eds? I don’t think so. This raises a question I have asked myself multiple times throughout my experience with House life: Who actually has the power to hold faculty deans accountable for their actions? 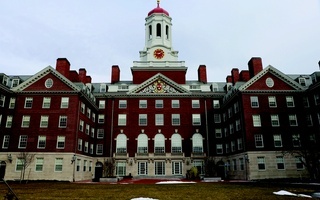 The housing system is a defining characteristic of Harvard. And while the idea of smaller residential communities within a large college makes a lot of sense, the way the system is actually run is fairly absurd. For all intents and purposes, each House is its own fiefdom. Faculty deans reign over their domains with a large amount of independence, and it’s up to them whether their House feels like a democratic institution or an authoritarian state. Deans can set their own House rules, leading to discrepancies between Houses in things like party registration systems, available social spaces, and quality of House programming. Deans can also oversee hiring their own staff, which has resulted at least once in concerns about biased hiring. One thing all Houses have in common, though, is that the faculty deans are in charge. And if students or staff have complaints about the way faculty deans are running a House, often the only people they have to turn to are the deans themselves. But students rarely do so, because they don’t want to risk damaging their relationships with their deans, who are the most powerful figures in their day-to-day lives. If I were still in Winthrop and needed Sullivan’s approval for HoCo events, or wanted a recommendation letter for a fellowship, or was applying to Harvard Law School, I would not be writing this op-ed. House administrators and staff have even more to lose, as the faculty deans are their bosses. Residential tutors are in an especially difficult situation; though they are the ones who interact most with students on a day to day basis, they remain in the Houses (their permanent residencies) only at the discretion of faculty deans. I am not suggesting that any faculty deans are intentionally vindictive against those who express criticism of them. However, the combination of the residential nature of Houses and the rigid, vertical power structure can create an environment where House members do not feel comfortable critiquing the people who have power over their daily lives and future opportunities. Ideally, faculty deans would be receptive to direct feedback, but a system cannot rely upon the goodwill of the individuals in power. There needs to be another channel of accountability. Currently, it is not even clear who oversees the faculty deans. The Dean of Harvard College is the only position that obviously outranks the faculty deans, but many students might not feel comfortable approaching such a high status and busy individual with their concerns. Furthermore, as a faculty dean himself, there is a clear conflict of interest. Students and staff with criticisms of their faculty deans should not have to turn to another faculty dean when seeking assistance. There is also the additional issue of Dean of the College Rakesh Khurana’s own students not having a higher power to turn to. As someone who has pushed hard for House life to truly be at the center of College life, Khurana has an obligation to review the current structure with scrutiny and make improvements. 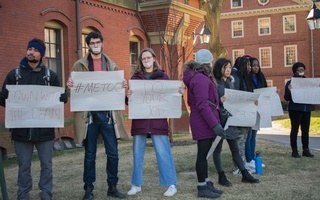 Harvard College needs to make faculty deans more directly accountable to their students and staff. This is not an honorary position that should play second fiddle to another profession; it’s a very serious commitment to lead and represent a community of people. This is not to say that deans can’t occupy various roles; indeed, their many experiences are part of what they bring to their house community. However, the office of the faculty dean needs to better defined and more transparent. The current lack of oversight, consistency, and established avenues for complaints make it very difficult to hold faculty deans accountable. For the sake of the staff and students they serve, this must change.